The sarcophagus of Sobekhotep as found in Abydos. Image: Art Daily. The tomb of an Egyptian pharaoh named Sobekhotep has been discovered by a team from the University of Pennsylvania at Abydos in Middle Egypt, 500km south of Cairo. The deceased is probably identified with King Sobekhotep I, believed to be first king of the 13th Dynasty (1781-1650BC). New royal tombs are rarely discovered, while the ten 13th Dynasty royal burials known are all located at Dahshur, just south of Cairo. 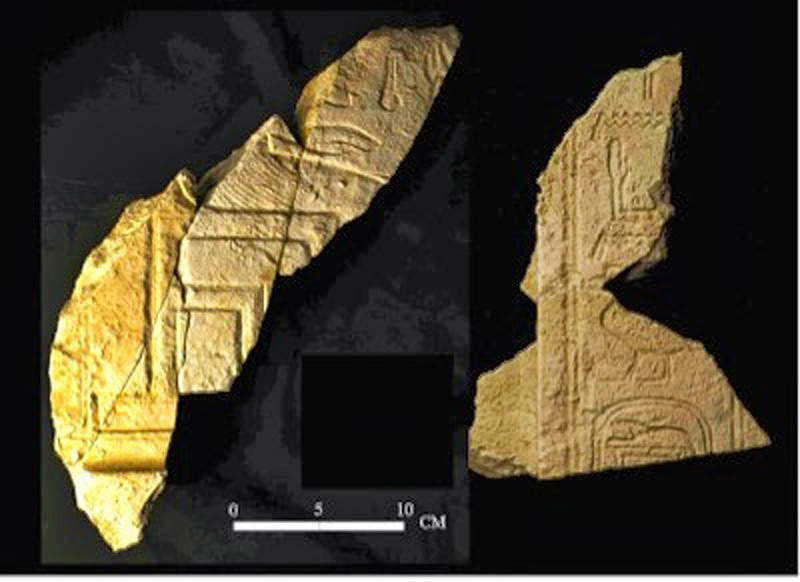 In that light, a royal burial of that period at Abydos -a site connected with funerary cult and also bearing a royal necropolis connected with the earliest of Egypt’s Pharaohs (Dynasties 1 and 2)- is an outstanding find. As for King Sobekhotep I, he ruled for about three or four years, at a time when Egypt was entering a period of decline, which is so complex that scholars are still debating the order of the 13th Dynasty kings. 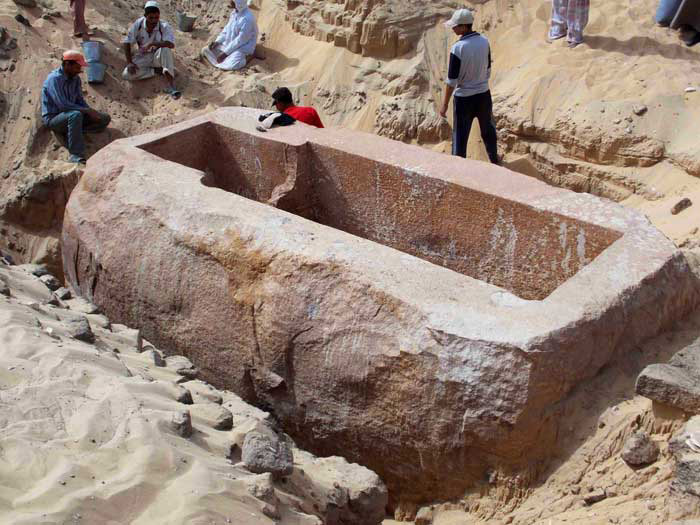 The newly found tomb was constructed from limestone brought from the Tura quarries near modern Cairo, while the burial chamber is made from red quartzite. The burial was originally topped by a pyramid, in a style known from the Dahshur tomb of another 13th Dynasty King, Ameny-Qemau. Among the finds are a 60-ton quartzite sarcophagus, fragments of stele bearing the personal name of the king (but lacking his praenomen or any other part of his titulary), and an image of Sobekhotep enthroned (probably belonging to the same stela), parts of the canopic jars that once contained the pharaoh’ s internal organs, and funerary objects. Excavation at the tomb is ongoing, though Egypt’s antiquities chief, Mohamed Ibrahim, hopes to open the site to the public, once the tomb has been restored. This is not the only discovery of an ancient Egyptian site since the New Year. Working at Luxor, a team from Japan’s Waseda University uncovered the tomb of Khonsu-em-heb, an overseer of granaries and beer-brewers for the goddess Mut during the Ramesside Period (1298BC-1069BC). The tomb walls are painted with many beautiful scenes that illustrate religious ceremonies and show the tomb’s owner, Khonsu-em-heb, with his wife and daughter, who were both chantresses of Mut. The Japanese team uncovered the tomb while clearing the courtyard of another nearby burial site.